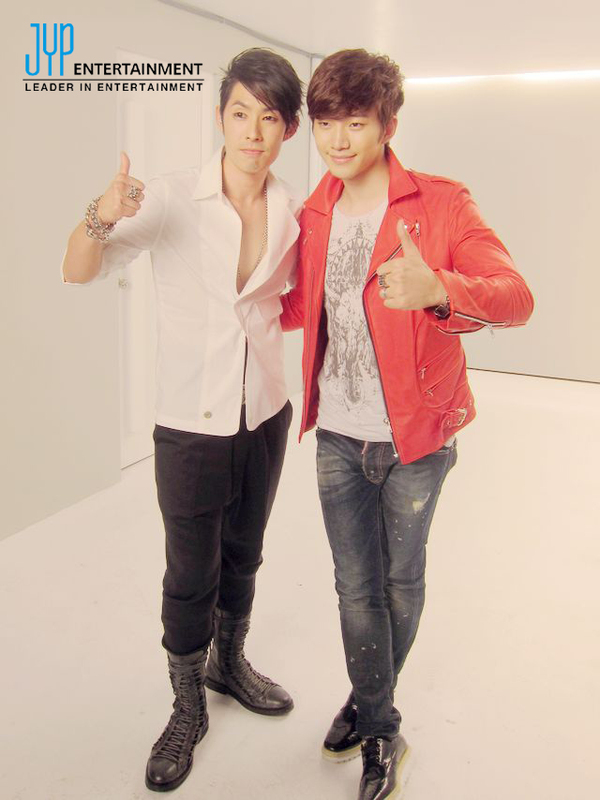 The latest international collaboration to hit K-pop is between Junho of 2PM and Taiwanese artist Vanness Wu. They collaborated on the opening OST for the Taiwanese drama Ti Amo Chocolate, which stars Wu himself. Although it might not be a major release, this OST might be a good start for 2PM and JYP Entertainment to break into the Taiwanese market. Vanness Wu was a member of F4, a Taiwanese pop group, comprised of the F4 of the immensely popular drama, Meteor Garden (the grandfather of Boys Before Flowers). Meteor Garden helped to cement Vanness Wu’s popularity in Taiwan, and he’d be a good catalyst for 2PM and JYP Entertainment as a whole to gain leverage into the Taiwanese market. If the reception is good for the OST, will this lead to a more serious collaboration? And if so, how will this be to 2PM and JYP Entertainment’s advantage? For any artist trying to break into a foreign market, the first step that artist should take is to attract as much as attention as possible. Getting to collaborate with a popular artist of the aforementioned foreign market would be the best place to start with, as whenever a popular artist’s name is mentioned, a horde of fans follows, thus bringing a base towards any other person associated with said popular artist. However, one has to keep in mind that much attention will be directed at the collaborator whose name comes before the word ‘featuring’. Take Wang Lee-hom, Rain, and Lim Jeong-hee for instance. The three of them collaborated for the song, “Perfect Interaction”, which was a part of Wang Lee-hom’s 11th studio album, Heroes of the Earth (2005). The album was titled simply because of the amount of international names that were attached to the album (in terms of “Perfect Interaction,” more so Rain than J-Lim, sorry girl), so his collaboration with Rain and Lim Jeong-hee was basically a chance for Wang Lee-hom to showcase his ability to attract foreign talent, rather than helping Rain and J-Lim make it into China and Taiwan. 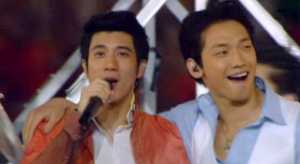 However, I do think that their collaboration helped Rain land a spot at the 2008 Beijing Olympics alongside Wang Lee-hom and other famous Chinese acts at its closing ceremonies, allowing for even more face time within mainstream China. Despite being a good means for success in foreign markets, artists should be cautious in choosing whom to collaborate with, and not to get lured in by name alone. You might end up getting no help at all, especially if you want to make a full-fledged debut in your collaborator’s home country, and nothing to show for it (JYJ and Kanye West, Se7en and L’il Kim). Of course, some collaborations do manage to become very successful. Kangta and Vanness had a good run together as a unit, releasing the popular album Scandal in 2006. But their success together can be primarily attributed to their respective large fan bases fusing together to form a force that guaranteed success. It can also be attributed to the fact that they did go so far to record a full-length album together, instead of a single song. 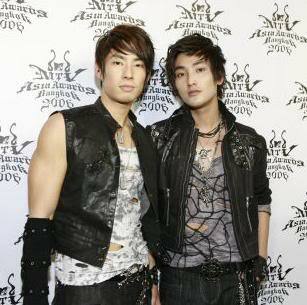 I quite enjoyed “Scandal” and “127 Days” off their album, both Mandarin and Korean versions, and it’s a shame that they couldn’t had any more collaborations because of Kangta’s pesky military service, and subsequent falling off the face of the earth into the bowels of SM. Even one-shot collaborations like Crystal Kay and BoA managed to gain a lot of success (although admittedly, mainly because of the names attached to the song). It’s quite possible that Junho and Vanness’ OST will amount to something further, and that Vanness might be one of the best collaborators to start with., especially if JYP has plans to enter the Taiwanese or Chinese market. Wu has several international collaborations under his belt as well as a strong base in Taiwan. Entering Taiwan and China would be great for any of JYP’s groups, and China for that matter, seeing as there is a lot of buzz for their groups. It is always refreshing to see entertainment groups taking interest in countries other than Japan and the United States, and with the uncertainty of Wonder Girls ever making it big in America, JYP setting his eyes on Taiwan and China might a good place to help 2PM, and any of his groups, to develop into a more formidable K-pop contender on the international front.